Indian Air Force has recently released a notification of AFCAT 2015. 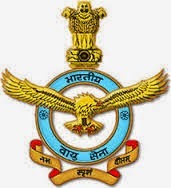 IAF has successfully conducted Air Force Common Admission Test (AFCAT) exam on 22nd Feb, 2015. Who are participated in the written exam those all candidates are waiting for Answer Key of AFCAT 2015 Exam. In the AFCAT Exam question paper contained multiple choice question on verbal ability, numerical ability, reasoning, and general awareness. Time duration of the exam was two hours. Total Number of Questions in AFCAT exam was 100, each question carries 3 marks. For each correct answer you will get 3 marks and also carrying negative marking for each question one mark is deducted. window after that check your paper code ie.Set Booklet Series- A, B, C, D, and take print out. Candidates who are waiting for solved question paper/ answer key of AFCAT they can check here also. Here I am sharing AFCAT Exam 2015 Answer key Paper collected from web based net sources. Candidates should remain one thing- It’s not official answer key and there will some mistakes and this is only for candidate’s knowledge purpose.